Komatsu Australia’s 2016 group of apprentices recently faced off against V8 Supercars Team Championship leaders Triple Eight Race Engineering in the first ever Komatsu Apprentice Kart Race at Barbagello Raceway. 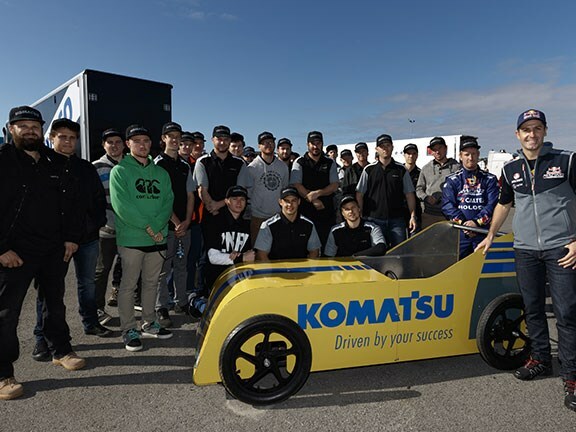 Team Komatsu Apprentices was led by six-time V8 Supercars series champion Jamie Whincup and featured five of Komatsu’s top West Australian apprentices. The Komatsu Apprentice Kart Race has a simple set of rules. Two billy karts and two drivers sit on the grid. Four ‘pushers’ build each kart’s momentum to a cut-off line, where they must release. The karts then race 400m downhill to the finish. The karts are then tuned and sent out again to improve on their last run. The apprentices took the win on the day, edging out the Triple Eight team by just 15cm in the final round. Whincup says he was pleased to see the apprentices come together for the race. "The Kart Race requires teamwork, analysis and a focus on constant improvement, he says. "It’s a great place to get hands-on, work under a bit of pressure and bond with a close-knit team. "Billy-cart racing looks simple," he adds. "But when you get into it, winning is harder than you think." Much like the V8 Supercars Championship, kart design and specification is tightly controlled. 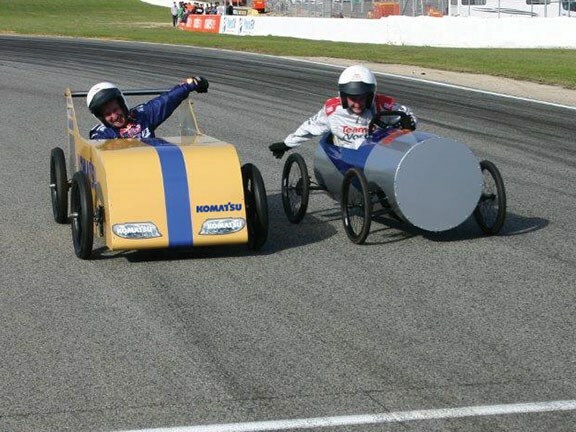 Teams can tune caster, camber, tyre inflation pressures and ride height. 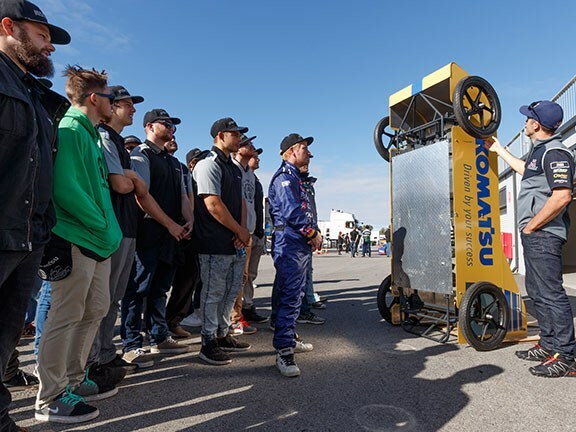 Komatsu says the kart series and Komatsu’s national apprentice development system (ADS) are important for producing well-rounded tradespeople and is a part of Komatsu’s success. "Equipment is only part of what we deliver to our customers," Komatsu national apprentice development manager Gavin Manning says. 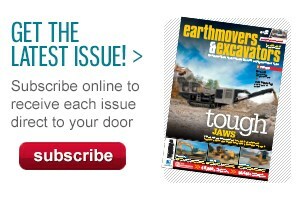 "Komatsu develops people-powered technology and we are driven by success. 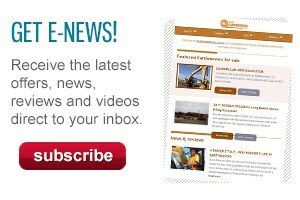 Creating satisfied, self-aware tradespeople puts us in the best possible position to service evolving customer needs."